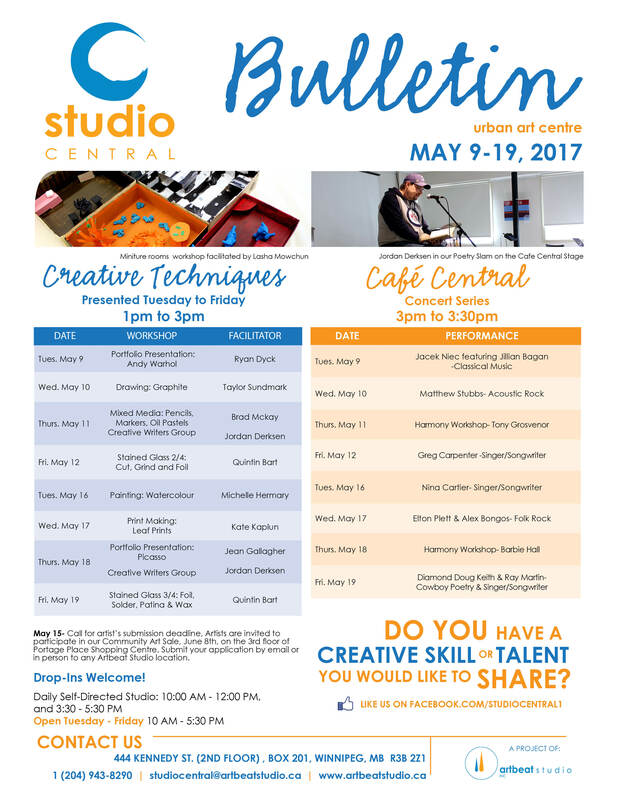 May 23- Mural Mentorship Program: Please join us at 1pm at Studio Central to find out how to participate in a mural celebrating Canada’s 150th anniversary! 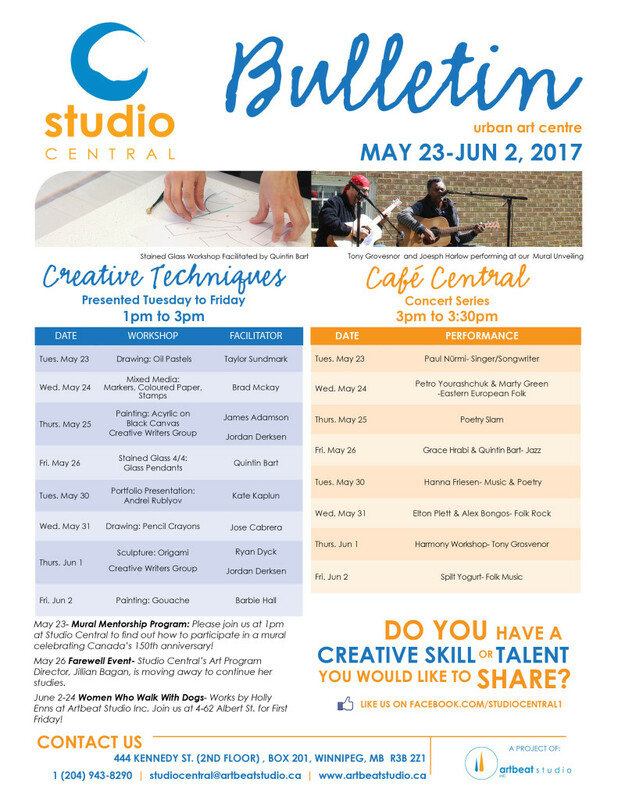 May 26 Farewell Event– Studio Central’s Art Program Director, Jillian Bagan, is moving away to continue her studies. June 2-24 Women Who Walk With Dogs– Works by Holly Enns at Artbeat Studio Inc. Join us at 4-62 Albert St. for First Friday!